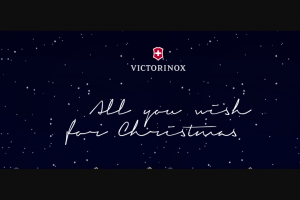 Victorinox – Wish List – Win end of the promotion period is an INOX Mechanical watch valued at CHF 795.00 (USD 800.00). 1. By participating in the sweepstakes, participants accept these Terms of Participation and agree to the publication of their first name and place of residence on the sweepstakes platform and online on social media. 2. Victorinox AG, Schmiedgasse 57, 6438 Ibach-Schwyz, Switzerland, is the organizer of the sweepstakes. 3. Registration for participation in the sweepstakes must be completed directly online on the sweepstakes platform at www.vx.ag/xmas-18. Registrations will only be valid if participants provide their address during registration to ensure they can be notified in the event that they are among the winners. 4. The sweepstakes are void where prohibited by law. 5. Participation in the sweepstakes is free of charge and there is no obligation of any kind to purchase a product. 6. Participants must have legal capacity to act and, at the time of registration for the sweepstakes, must be 18 years of age. Employees of Victorinox AG and its affiliated companies are excluded from participating. 7. Only one entry per person is possible. Participants may take part in the sweepstakes multiple times, however only once per sweepstakes week. 8. The Victorinox Sweepstakes run from November 23, 2018 until December 21, 2018. 9. Each sweepstakes week during the promotion period, Victorinox AG will place five products on the above-mentioned sweepstakes platform. To participate in the sweepstakes, participants must choose one of the five products placed that week as their favorite, and this gives them the opportunity to win their chosen product. Each week, a prize draw is held among all of the participants who registered during this week. Every week, the deadline for participation in the prize draw is no later than Thursday at midnight. The prize draw is held once a week and takes place no later than Friday. The prize draw is supervised by an independent third party. The prize awarded to the winner is the product he or she has chosen. At the end of the promotion period, the grand prize will be raffled with a random draw among all of the participants who registered during the promotion period. 10. Victorinox AG does not assume any warranty for uninterrupted and continuous access to this sweepstakes and cannot be held responsible for technical problems and for any loss of data, irrespective of the reason why this may have occurred. 11. Victorinox AG is entitled to exclude any participant from the sweepstakes if there are objective, justified reasons for doing so (e.g. violating the Terms of Participation, manipulating or otherwise influencing the results of the sweepstakes, etc.). In addition, Victorinox AG reserves the right to cancel, modify, or suspend the sweepstakes at any time. This applies in particular in the event of circumstances which could disrupt or prevent the proper execution of the sweepstakes. If the sweepstakes are canceled ahead of schedule, no further weekly prize draws will be held. In this case, the grand prize draw will be held among all participants who have submitted a valid registration prior to the cancellation. 12. During the promotion period, the available prizes to win will be published on the sweepstakes platform on the Friday of each sweepstakes week. The grand prize at the end of the promotion period is an I.N.O.X. Mechanical watch valued at CHF 795.00 (USD 800.00). The total value of the prizes depends on the actual prizes chosen by the winners, however it ranges between approximately CHF 241.00 (USD 242.00) and CHF 2,200.00 (USD 2,210.00). 13. The odds of winning depend on the number of participants. The draw for the grand prize will be held on December 21, 2018. 14. Prizes cannot be exchanged or paid out in cash. 15. Each winner will be notified by email, no later than the Friday following the close of the weekly sweepstakes. Prizes will be delivered by regular mail to the address specified by the participant at the time of registration. In the event that notification of a winner is not possible due to inaccurate or insufficient details provided during the registration process, or if a winner fails to contact Victorinox AG within 14 days of notification, the prize will lapse, in which case Victorinox AG is entitled to choose a substitute winner at its discretion. 16. There will be no correspondence conducted with regard to the sweepstakes. No legal recourse is permitted. 17. Where legally permissible, all liability on the part of Victorinox AG is excluded. Swiss law shall apply exclusively. However, this choice of applicable law will not deprive participants of any protection to which they are entitled under mandatory provisions in their country of residence. 18. The Terms of Participation are available in three languages (German, English and French). If there are any inconsistencies or questions with regard to the language or the interpretation of the wording, the German version shall prevail. If a participant does not understand, or only partially understands, the language or the terms of the sweepstakes, we recommend that they do not participate in the sweepstakes. Within the scope of the sweepstakes, participants will provide their name and contact details to Victorinox AG. The personal data of the participants will be collected, processed, and used for the purpose of conducting the sweepstakes. To be able to participate in the sweepstakes, it is necessary for participants to provide the organizer with the above-mentioned data, which is required for the execution of the sweepstakes. Personal data collected within the context of participation will be treated as confidential in accordance with the provisions of applicable data protection laws and will not be disclosed to third parties. The data [first name and place of residence] of the winners may be posted on the sweepstakes platform and the organizer’s social media pages until such time as consent is withdrawn. The organizer reserves the right to send participants information and offers regarding its products and services by regular mail or email. The legal basis for processing participants’ personal data after registration for the sweepstakes is created when the participants give their consent to the processing. Moreover, the organizer has a legitimate interest in using participants’ personal data in order to promote its product offers. If consent is granted to Victorinox AG, it may be withdrawn during registration for the sweepstakes or at any later point in time with effect for the future, for example by sending an email to info@victorinox.com, and such consent is not required to participate in the sweepstakes. With regard to their personal data, participants are entitled to assert their legal rights to access, rectify, block, delete, and revoke such data vis-a-vis Victorinox AG. Personal data will only be stored for as long as is necessary for the purpose for which the data was collected or as long as consent is granted. In all other cases, the data privacy provisions of Victorinox AG, which can be viewed at https://www.victorinox.com/cms/privacy-policy, apply. 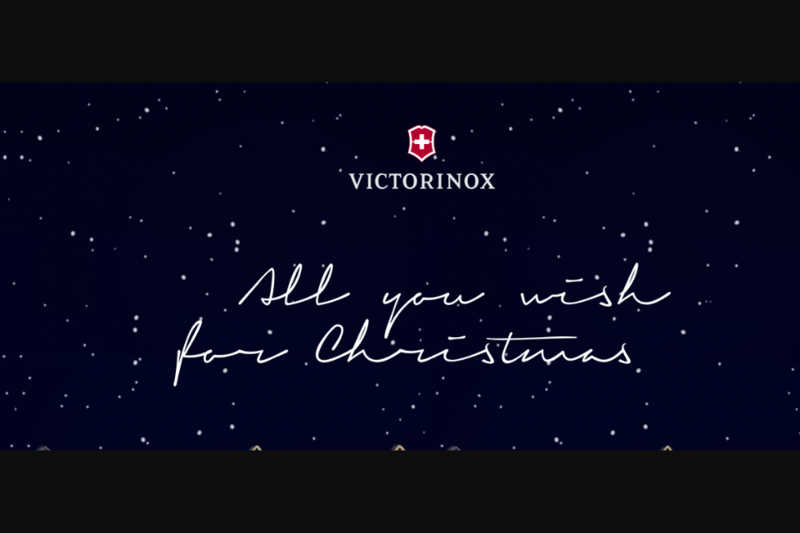 In the United States of America, a list of the prizewinners can be requested by sending an email to this effect to info@victorinox.com; the subject line of this email must contain the words “Victorinox Christmas Competition Winners”. The winners will be notified while complying with any applicable restrictions as stipulated in Swiss data protection legislation.